Emergency medicine has always been in my blood. After high school, I had the idea of going to medical school, but quickly realized it was not for me. I wanted excitement in my career, so I attended SCTI for EMT, Paramedic and Fire school. I have been a certified paramedic since 2010 and started my career through the SMH ER. I followed that up with working at North Port Fire Rescue and am currently employed as a FF/PM with Sarasota County Fire Department. I love emergency medicine and couldn’t imagine a better career. I became certified to teach BLS, ACLS and PALS in order to educate people in the health care field on how important these skills are as well as allow people to see just how awesome a career in emergency medicine is. Hope to see you all soon! Ready To Get CPR Certified? With 35 years of service, I retired from the Sarasota County Fire Department as a firefighter/paramedic. 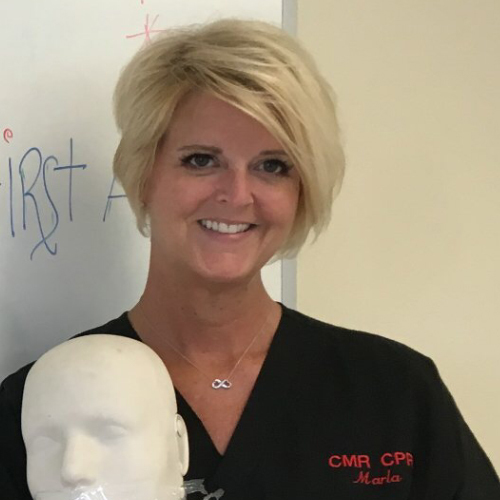 I made the decision to join CMR CPR and continue sharing my life’s experience through education. My past experience includes serving as a rescue diver, SWAT medic, fire officer 1 certification and as a member of the honor guard with Sarasota County Fire. Being one the original field officers training new paramedics and EMT’s, I continued as the lead EMT instructor for Sarasota County Technical Institute teaching both adult and high school programs along with EMR training for law enforcement. Additionally, I spent two decades as a flight medic/flight phys. instructor for fixed wing aviation. Concluding this chapter in my professional career, I was honored to receive a Congressional Award for my dedication of service for teaching fire safety in public schools for over two decades. My wife Michele was a flight nurse with Tampa General and has many years of critical care/ER experience. 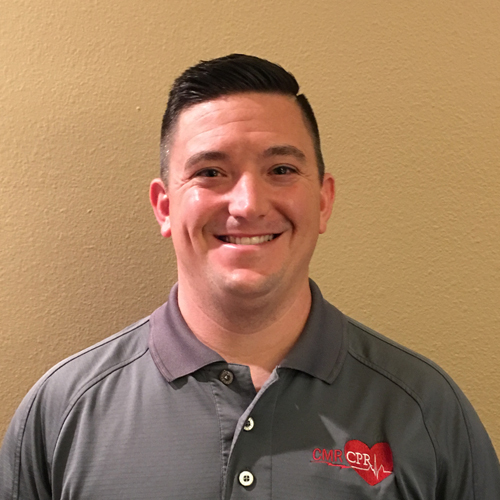 My oldest son Kyle is a customer representative for pediatric home health in Texas. I also have teenage twins Lauren and Evan. Hello there. My name is Marla Bardi and I am a Registered Nurse. I became a nurse in 2003, and have really enjoyed all the professional flexibility that being a nurse provides. I began in California on a telemetry unit, where I fell in love with all things cardiac; then quickly moved to float pool staff and hospital administration. I relocated to Sarasota a few years ago and took a travel assignment at Sarasota Memorial Hospital in the ED (Emergency Department) where I met Rodney and Ryan (and other awesome folks). While on a vacation from SMH last year I became certified American Heart Association BLS and ACLS Instructor. What is amazing, is now I get to combine my newfound passion for teaching with my love of everything cardiac! I hope you’ll consider CMR CPR for all your AHA certifications- we really make learning fun! Jim Wright comes to us with a background in emergency and hyperbaric medicine. 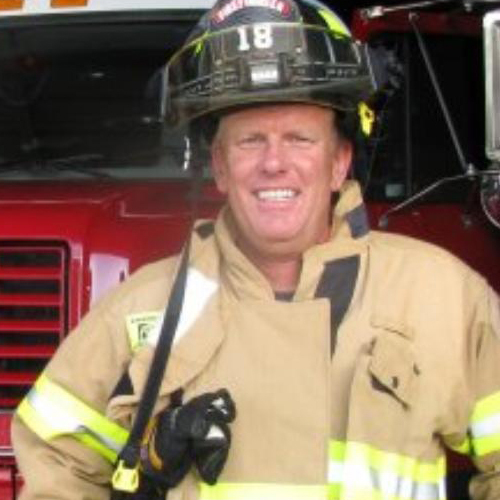 He has been a certified Florida paramedic since 1985, and holds a masters degree in Career and Technical Education. Jim is employed with the Sarasota County Fire Department where he holds the rank of battalion chief. 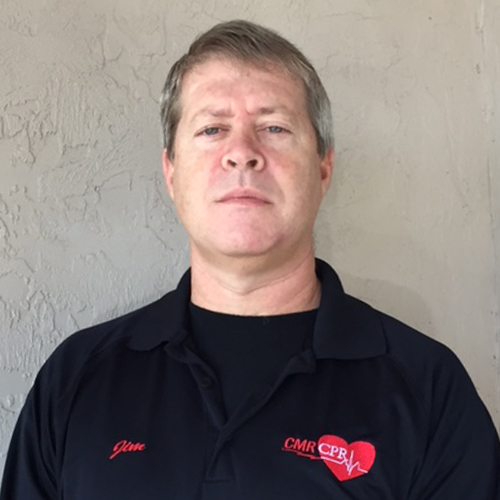 Jim is an expert Instructor for ACLS, BLS and Heart Saver classes. Looking for more information? We're friendly, Just ask!